Beautiful 1 story Bella Terra home in sought after Southern Highlands Master Plan Community. 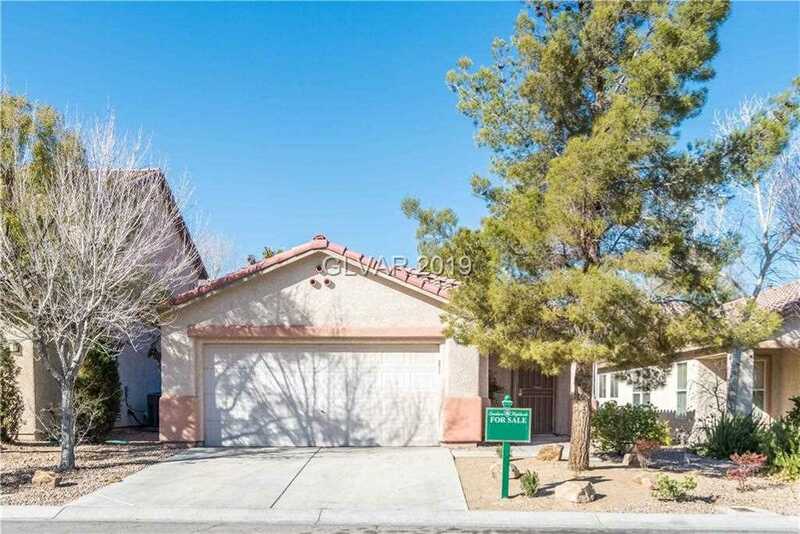 Great open floor plan features 3 beds, 2 baths, and 2 car garage. New flooring throughout house (no carpet), new tile in baths. Clean backyard with concrete patio with sun awning. French doors leads into the second bedroom while master bath as the all important double vanity. Minutes away from the 15 via drive grants easy access to strip. Move in ready! Directions:South on 15, West on Cactus, South on South Valley View, East on Buranco Ave, North on Mezzana St., East on Patrolina, North on Romola, 8th house on left. SchoolsClick map icons below to view information for schools near 11047 Romola St Las Vegas, NV 89141.